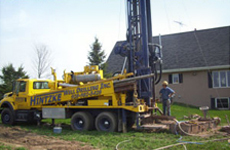 You don’t have to look far to find superior well drilling and geothermal system services in the New London, Wisconsin area. Just turn to the local team that’s known for superior results, fair prices, and friendly customer service. You’ll be glad that you did! Our journey began in 1896, when Theodore Hintzke started this company with a drilling rig he built himself. That first rig was powered by a Galloway hit-and-miss 1-cylinder engine. In the more than 100 years since, we moved on to cable tool rigs and, eventually, to the rotary drills that we use today. One thing that hasn’t changed is our dedication to quality! It’s been many years since 1896, but our family business is still the most respected team in the region 4 generations after Theodore Hintzke founded it. We never reduce our quality to undercut our competitors’ prices because we believe in doing things right. Call us 24/7 for repairs and service. It's no wonder that we've been around since way back in 1896. For 4 generations, our family-run team has been trusted in the region. 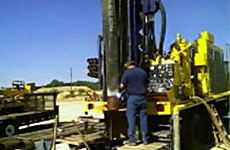 Well Drilling & Home Associations Affiliated with Hintzke Well Drilling Inc.